Our equipment is made to put you in touch with the excitement ​we feel when we go into the woods, creeks, lakes or swamps for whatever is in season or even just to go out stump shooting or to traditional archery shoots with friends. 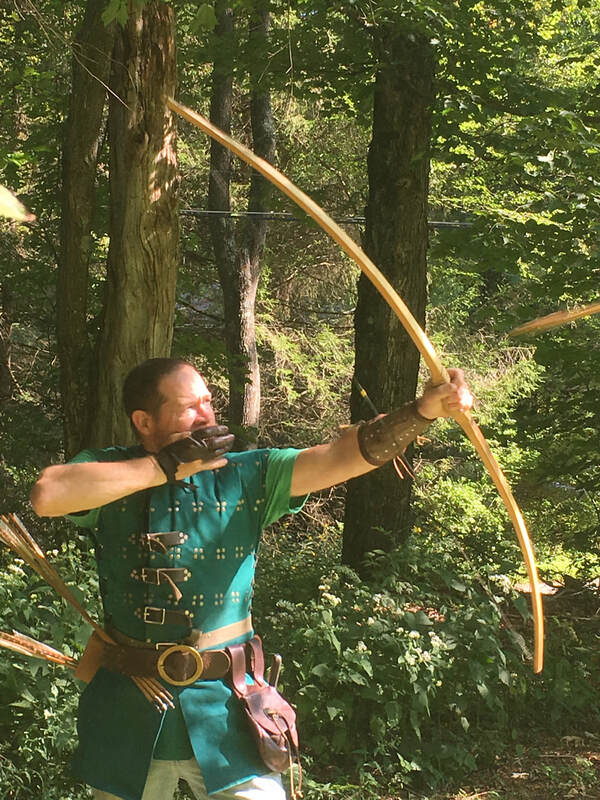 Even if you're not a hunter these bows & other equipment look amazing at any event whether it's S.C.A., Reenactments, Larping or any kind of traditional archery shoot while not emptying your bank account. 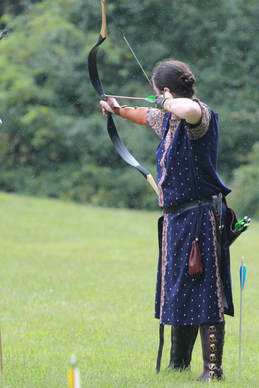 ​We attend events, Renaissance fairs & local festivities, providing archery shoots for patrons and even do parties. ​Having a party, invite us along; amaze your friends and family with your skills or give them the bug and see how they shoot. "As an accomplished bower & craftsman I can prepare you for a full day of hunting or give you the means to just plunk arrows at stumps & other targets to simply improve your target shooting. I specialize in English Longbows & traditional archery equipment. I can outfit you with everything you'll need. We are always happy to answer all your traditional archery questions. Planning a trip up here? When you call to reserve your room, don't forget to ask about doing some archery & axe throwing with us during your visit to our neck of the woods. No need to leave the serenity of the place you stay, we come to you. But archers are always welcome on our range. The Scenic, Wild Delaware River Geotourism Program aims to promote economic stability for communities within the region, as well as a shared identity that encourages collaboration across boundaries to benefit local communities and the natural system in which they exist. Set on 7 acres and nestled into the forest of Shandelee Mountain, staying at The Arnold is an experience more akin to staying with old friends than a traditional hotel. She sits on a ledge overlooking the Willowemoc Valley and its namesake river here in upstate New York's Catskill Park. With its 14 guest rooms, access to hundreds of acres of private land spanning two mountains, a river, several ponds and a private pool, The DeBruce is about the place, the times and the continuing story of our home.